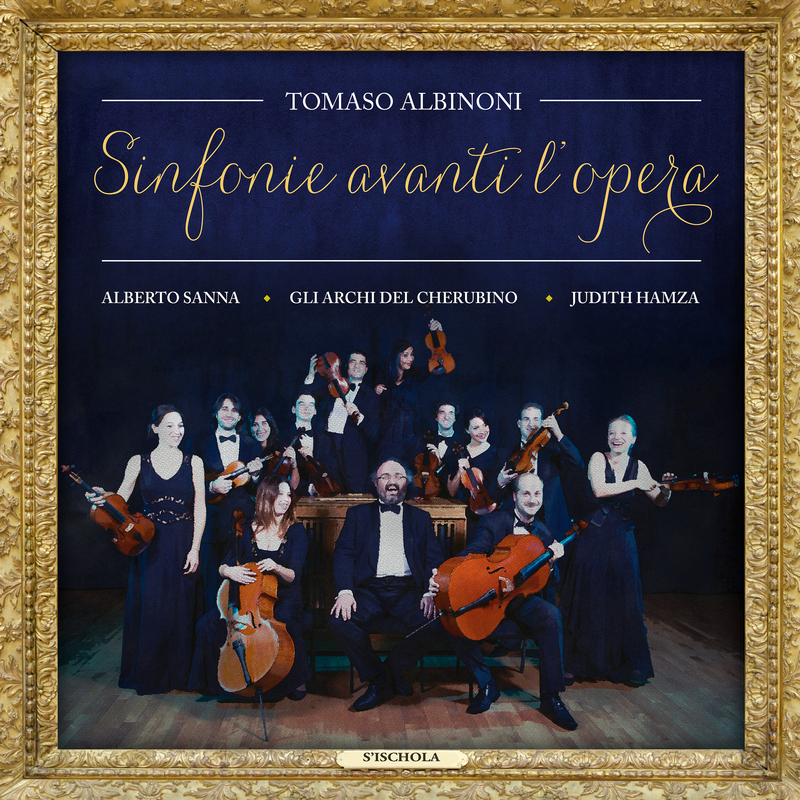 Tomaso Albinoni: Sinfonie avanti l’opera (s’ischola, USCGJ1772568/76, 2016). Violinist and musicologist Alberto Sanna leads the young string ensemble Gli Archi del Cherubino in a historically informed performance of the Venetian composer Tomaso Albinoni’s dazzling ‘symphonies before the opera’. A s’ischola production for EMAE (Early Music as Education) sponsored by FORA. Recorded (L’Aquila, Italy, 28-31 August 2015) and produced by Ian Percy. Photograph by Dan Kenyon. Graphic design by Francesco Dessi. Liner notes by Michael Talbot. Symphony in F major Si2; Symphony in A major Si3; Symphony in A major Si3a; Symphony in D major Si4; Symphony in A major Si5; Symphony in B-flat major Si6; Symphony in g minor Si7; Symphony in G major Si8; Symphony in F major Si9. ‘Contrapuntally crafted, harmonically eloquent. Corelli’s sonatas and the compositional process in the late 17th century’, Basler Jahrbuch für Historische Musikpraxis, 37 (2015), 73–88. This article provides an example of an aesthetically oriented analysis of a Corelli composition as much as it presents a flexible view of the compositional process in the late seventeenth century informed by contemporary notions of harmony, counterpoint, craftsmanship and artistry. 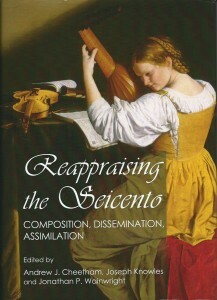 By shifting the emphasis from the analytical agenda of twentieth-century theorists to the grammatical standards set by their late seventeenth-century counterparts, the article makes a case for the richness of Corelli’s musical eloquence over the historiographical tradition that locates the establishment of a ‘Common-Practice’ of musical composition in Italy in the early decades of the eighteenth century. ‘Between composition and performance: generic norms and poetic choices in the work of Arcangelo Corelli’, in Guido Olivieri and Marc Vanscheeuwijck (eds. ), Arcomelo 2013. Studi nel terzo centenario della morte di Arcangelo Corelli (Lucca: Libreria Musicale Italiana, 2015), 101–124. Since the rise of Corellian scholarship on an international scale, musicologists have attempted to determine Corelli’s musical style both on its own terms and in relationship to that of other contemporary masters. In the historically bent approach, the constituent elements of Corelli’s music are separated out to show how the composer blended distinct compositional styles. In this essay I offer a different kind of negotiation between music analysis and contextual history, by attempting to strike a balance between the agency of the composer Corelli and the traditions that made his music possible. I study Corelli’s compositional strategies against the body of technical procedures and generic norms he shared with musicians active within his own socio-cultural environment. I argue that Corelli’s distinctiveness may be found at the intersection between musical performance and composition: his professional experiences, coupled with a specific focus on string music, determined his musical mentality and thus shaped his very poetics of the sonata. ‘Corelli’s op. 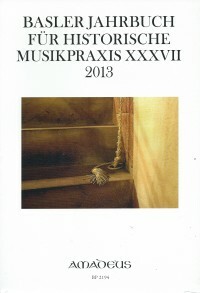 5 and the baroque paradigm’, Early Music Performer, 35 (2014), 4–14. ‘Learning from “the most fam’d Italian masters”: sonata composition in the seventeenth century’, in Andrew J. Cheetham, Joseph Knowles and Jonathan P. Wainwright (eds. ), Reappraising the Seicento: Composition, Dissemination, Assimilation (Newcastle upon Tyne: Cambridge Scholars Publishing, 2014), 43–90. In 1683 the rising star of the London musical scene, the twenty-four-year-old Henry Purcell, presented the general public with a set of twelve sonatas a3. 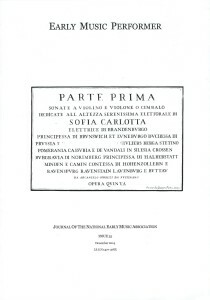 As the composer himself famously claimed in the Preface to his publication, the sonatas were written in ‘a just imitation of the most fam’d Italian masters’, with the purpose of counterbalancing the French ‘levity and balladry’ dear to king Charles II and his courtiers with the ‘seriousness and gravity’ of Italian music. Purcell scholars have recently shown that the composer’s models for sonata composition were not Corelli’s works in the genre, which were yet to find their way through the British market, but the printed and manuscript sonatas of musicians active in northern and central Italy in the middle of the seventeenth century – Maurizio Cazzati, Giovanni Legrenzi, Giovanni Battista Vitali, Lelio Colista, Carlo Ambrogio Lonati. This chapter takes a closer look at the work of these composers of instrumental ensemble music in mid seventeenth-century Italy. Through a study of the compositional process, the chapter attempts to remove these ‘symphonists’ from vast schemes of music history and pinpoint instead the geographical, social and economic locus of their activities. In particular, the chapter emphasises the relationship between continuities and discontinuities in seventeenth-century sonata composition at the expenses of more familiar narratives centred on such misleading notions as ‘the great composers’ or ‘the regional schools’. 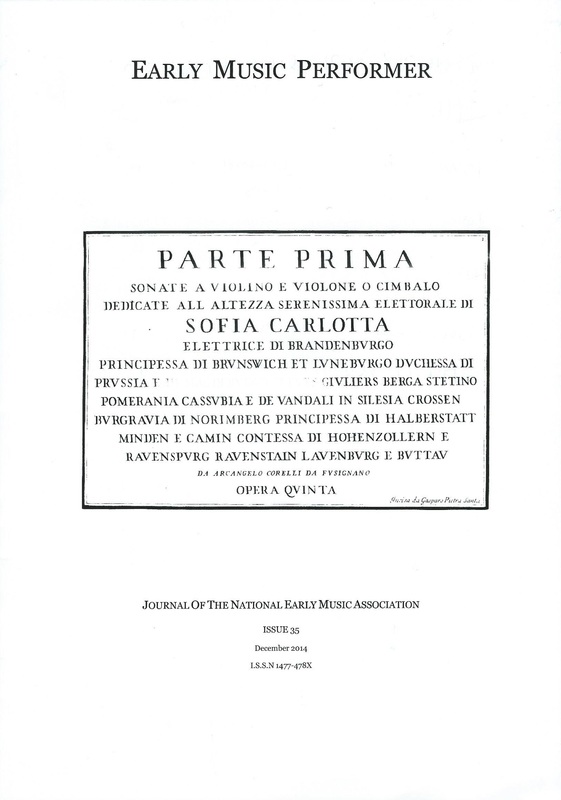 In pursuit of these goals, the chapter reconsiders several well-known if underrated treatises of music theory originating from places and authors with which the sonata composers were associated, including Lorenzo Penna in Bologna, Giovanni Maria Bononcini in Modena, Angelo Berardi and Giuseppe Ottavio Pitoni in Rome. 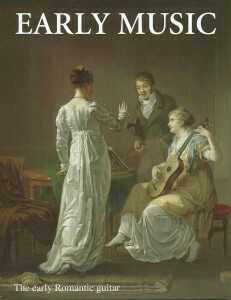 The result is something that may be called, for want of a better term, ‘historically informed analysis’, whereby present modes of musical thought are abandoned in favour of concepts and categories which would have sounded familiar to the participating historical agents or, at any rate, to some prominent groups among them. 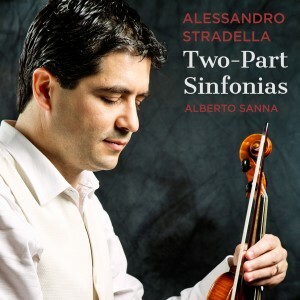 Alessandro Stradella: Two-Part Sinfonias (s’ischola, FR-6V8-22-45197/207, 2014). Alberto Sanna, violin; Marcello Scandelli, violoncello; Michele Pasotti, archlute (on period instruments). Sponsored by Liverpool Hope University. Recorded by Ian Percy and Mike Roberts at the Capstone Theatre, Liverpool Hope University, on 2–6 July 2012. Produced by Ian Percy and Alberto Sanna. Photographs by Dan Kenyon. Graphic design by Alessandro Pintus. Executive producer for s’ischola Paola Nieddu. Sinfonia 1 in D major; Sinfonia 2 in D major; Sinfonia 3 in D minor; Sinfonia 4 in D minor; Sinfonia 5 in E minor; Sinfonia 6 in F major. Sinfonia 7 in F major; Sinfonia 8 in F major; Sinfonia 9 in G major; Sinfonia 10 in A minor; Sinfonia 11 in A minor. ‘Arcangelo Corelli and friends: kinships and networks in the Papal State’, Early Music, 41/4 (2013), 645–655. Neither scholarship nor popular interest has neglected Arcangelo Corelli. His music is a favourite of many performers; references to his sonatas and concertos are ubiquitous across a wide spectrum of musicological literature. The rise of serious Corellian research on an international scale since the 1970s has given new breadth to several areas of enquiry, including sources, archival documents, reception and performance studies. And yet, despite the advances of modern Corellian scholarship, a number of historical and critical issues are still to be investigated. Especially important for our understanding of the Corelli phenomenon is to determine the nature of the original social and cultural conditions that made it possible. Recent writings have shown that posthumous interpretations of Corelli depended mainly on processes peculiar to 18th- rather than 17th-century musical cultures. This article reconsiders the wealth of evidence unearthed by historical research to pinpoint the geographical, political and economic locus of Corelli’s work. It argues that, notwithstanding his international success as a published composer and his later reputation as a standard-bearer for Italian music outside Italy, Corelli was in fact the product of a rather restricted though distinctive milieu in the Rome of his time. By sketching the specific events that led to Corelli’s extraordinary career as a specialized instrumentalist, the article shifts attention away from the composer’s position within vast schemes of music history and restores it instead to the original environment in which his musical activities took place. Fidibus canere (Tronos 8 037395 001918, 2007). Alberto Sanna, violin; Alessandro Puggioni, bass violin; Davide Pili, guitar (on period instruments). Sponsored by GEOCONSULT s.r.l.. 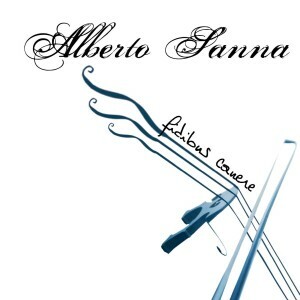 Recorded by Alessandro Simonetto at the Church of the Scalabrini Institute, Bassano del Grappa (Italy), on 22–23 September 2005. Produced by Tronos and Alberto Sanna. Photographs by Carlo Porcu. Graphic design by Riccardo Bassu. Executive producer for Tronos Gabriele Salis. Antonio Veracini, Sonata da camera op.2, no.8 (Modena, c.1694). Arcangelo Corelli, Sonata op.5, no.3 (Rome, 1700). Francesco Maria Veracini, Sonata accademica op.2, no.12 (Florence, 1744). George Frideric Handel, Sonata HWV 371 (unpublished, c.1750). 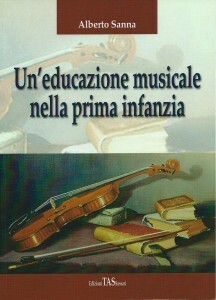 Un’educazione musicale nella prima infanzia [A Music Education in Early Childhood] (Sassari: TAS, 2007). This book deals with the development of musical competence in the first two years of life from several perspectives – philosophical, sociological, pedagogical, curricular. It establishes a theoretical framework for music education in early childhood grounded in an extensive body of scholarly and scientific literature. 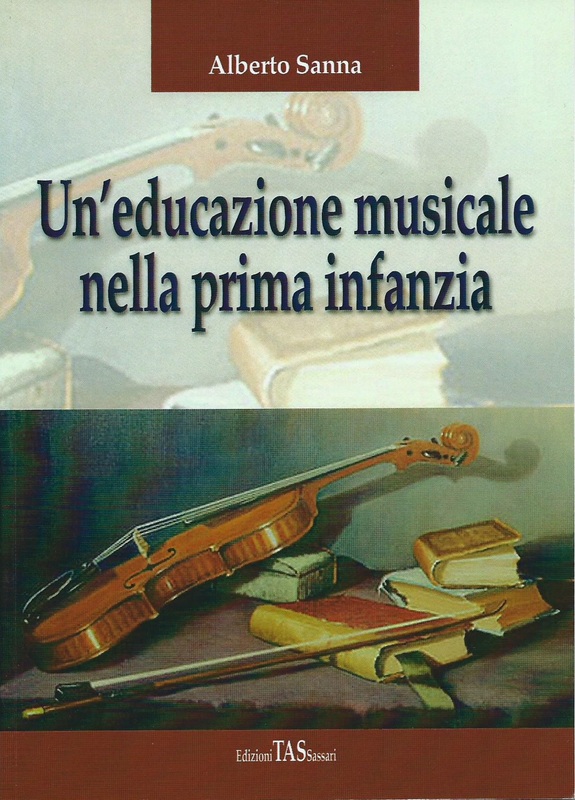 The book originated from an actual music programme designed for a nursery in Italy in the late 1990s and from a Visiting Scholarship at the University of Cambridge in the academic year 2004–2005. 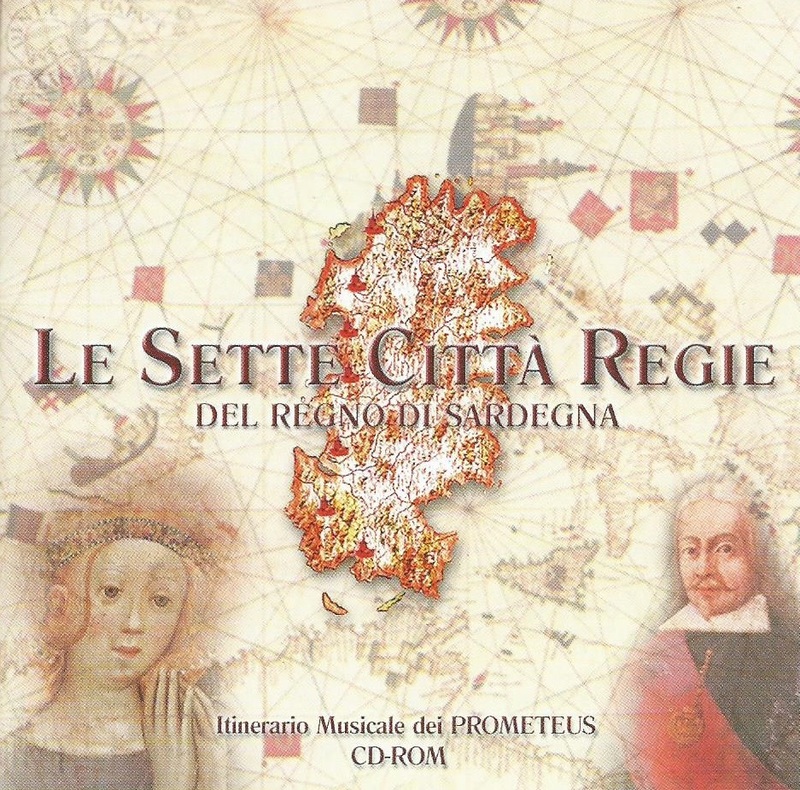 Le sette città regie del Regno di Sardegna [The Seven Royal Cities of the Kingdom of Sardinia]. 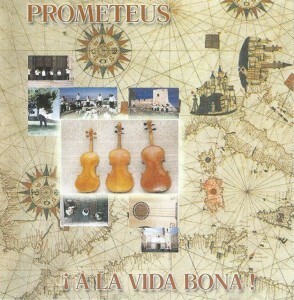 Itinerario musicale dei Prometeus (Tronos TR 03 CDR, 2000). 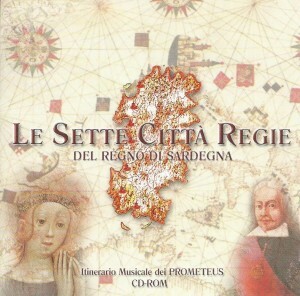 This CD-ROM is an interactive musical tour through the seven royal cities of the Kingdom of Sardinia which were under the Crown of Spain’s jurisdiction during the early modern era. Sponsored by Comune di Cagliari, Comune di Alghero and Comune di Sassari. Co-produced by Prometeus and Tronos. Realised by Paolo Mara & Partners and Forbes Multimedia. Texts by Alberto Sanna and Riccardo Sanna. Music by Prometeus. Videos by L’Altra Immagine. Photographs by Carlo Porcu and Fabrizio Usai. Historical research by Nicoletta Didu. Virtual tours by Fabrizio Usai and Maria Anna Usai. Executive producer Paolo Mara. ¡A la vida bona! (Tronos TR 02 CD, 1999). Alberto Sanna, violin and direction; Anna Olivieri, voice and percussion; Pierfranco Frau, voice and percussion; Anna Maria Loriga, alto viola; Alessandro Puggioni, tenor viola and drums; Davide Pili, guitar (on period instruments). 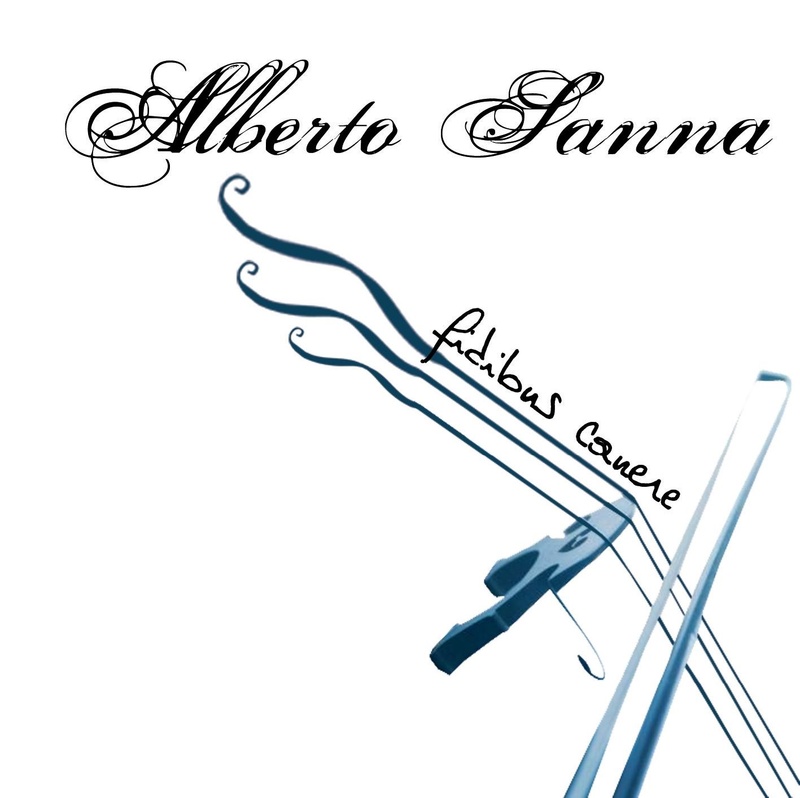 Recorded by Mario Francesconi at Studio Ziqqurath, Sassari (Italy), on 4–5 November 1999. Produced by Tronos and Alberto Sanna. Photographs by Carlo Porcu. Graphic design by Paolo Mara & Partners and Forbes Multimedia. English translation by Christine Tilley. Executive producer Alberto Sanna. Juan Arañés, ‘¡A la vida bona!’, chacona a4 from Libro segundo de tonos y villancicos (Rome: Giovanni Battista Robletti, 1624). Diego Ortíz, ‘Recercada tercera sobre canto llano (‘El Rey de España’)’, from Trattado de glosas (Rome: Valerio and Luís Dorico, 1553). Tomás Luís de Victoria, Ave Maria, mottetto a4 from Regensburg, Bischöfliche Zentralbibliothek, Proske Mappe Victoria I (seventeenth-century manuscript).